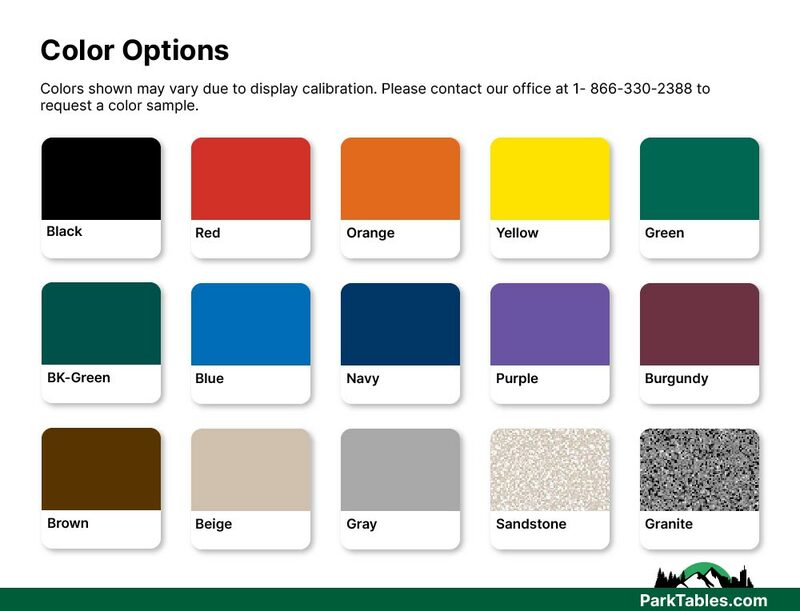 This 32-gallon thermoplastic custom logo perforated round trash receptacle includes flat top and liner and is one of the most popular trash cans from Park Tables. 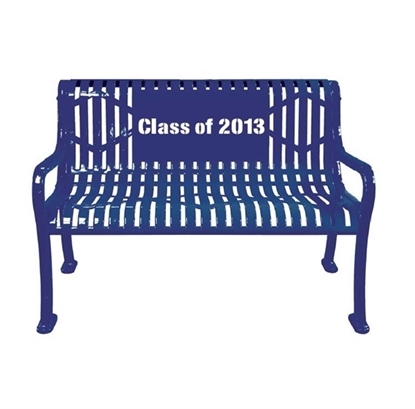 Made with thermoplastic coated 11 gauge perforated steel with custom words or logo cut into it. The flat top conveniently hides the trash with a clean look. The liner is made of heavy duty rigid black plastic. The thermoplastic coating will not fade, crack, peel, warp, or discolor for the life of the product. Thermoplastic finish is easily cleaned and is vandal proof. Comes portable but has pre-drilled mounting holes. For a free proof with your logo please contact Park Tables customer service toll-free at 1-800-213-2401.